The love between them grows as they get to know each other. Ian has fiery temper which is equalled by Lindiwe’s calmness and vulnerability and his brashness by her sensitivity. It is a love that will be tested again and again by the disorder in the place they call home and by circumstances they have no control over. A story full of secrets, you cannot mask Lindiwe’s – her parents are in a loveless marriage and her mother is colder than ice but hides behind religion. however, the biggest secret is Lindiwe and Ian’s son which she kept to herself for six years. Sabatini explores divides of a nation in transition, from the latter days of Rhodesia to the early years of Zimbabwe along the lines of race, corruption, love and violence. She writes with authority about her country of birth. Structurally, she does a brilliant job with the narrative of the story that takes you on a historical journey with many layers. We see Zimbabwe through Lindiwe’s eyes as life unravels because there is no escaping it. It is everywhere she turns as she gives the vivid descriptions of the rapid demise of a once promising country. 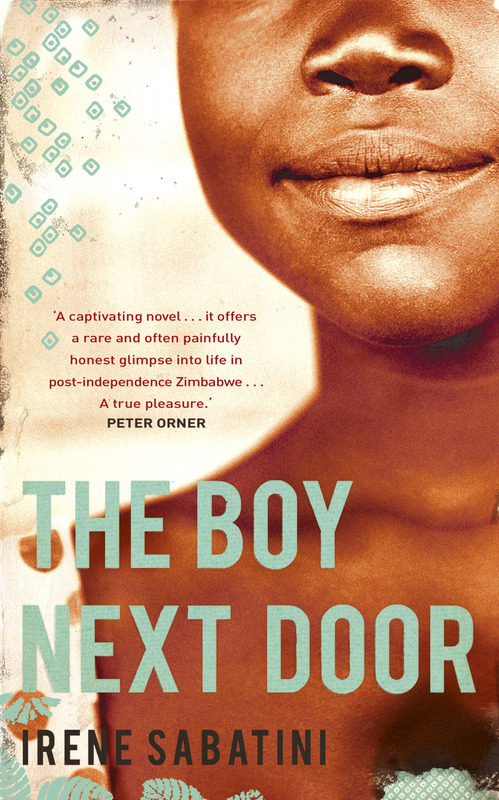 While there are moments when the rich history threatens to overshadow the story of the main characters, you must commend Sabatini’s ability to sneak in the multi-cultural Zimbabwe of the 80s and early 90s. While her use of language and humour is simple, it is effective. This is a story that stays with you long after you are done reading because Lindiwe’s voice is so distinctive when she expresses herself, you feel her heart. Boy Next Door is published by Sceptre and is out now. This entry was posted on Saturday, April 3rd, 2010 at 12:00 am	and is filed under Africa, Book Reviews, Marriage & Relationships. You can follow any responses to this entry through the RSS 2.0 feed. You can leave a response, or trackback from your own site. Ha there are so many good books to read. And I kinda like the title…away from the ‘usual suspect’ titles from here…and there’s something about the cover sha. It is a lovely book and i thoroughly enjoyed it.